Laid down, 15 October 1942, at New York Ship Building Co., Camden, N.J.
Ex-USS LCI(L)-30 was donated by the Maritime Commission to the Port of Newport, OR., 24 June 1948. The vessel was then transferred from the Port of Newport to the Yaquina Dock & Dredge Co. in partial payment for dredging and dock construction at the port. 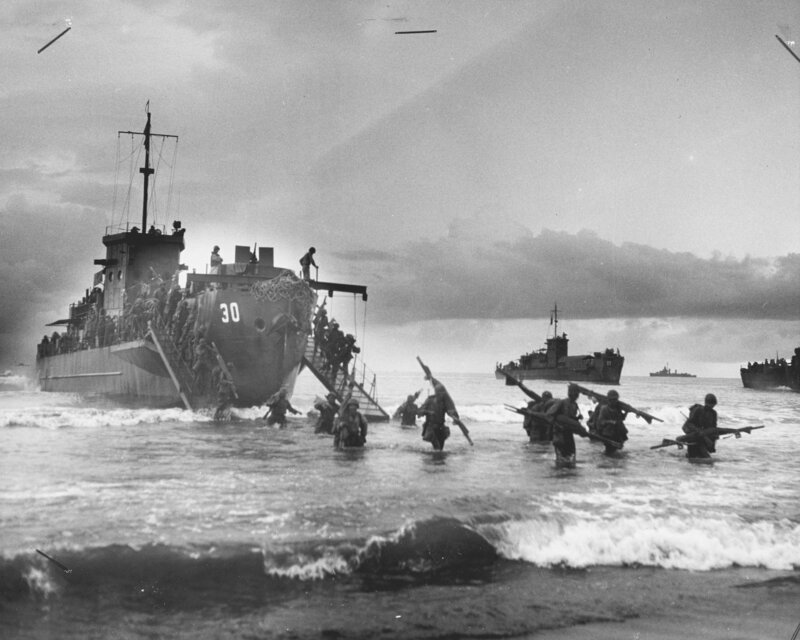 US Coast Guard photo for "All Hands" magazine, July 1944 issue. Joe Radigan MACM USN Ret. 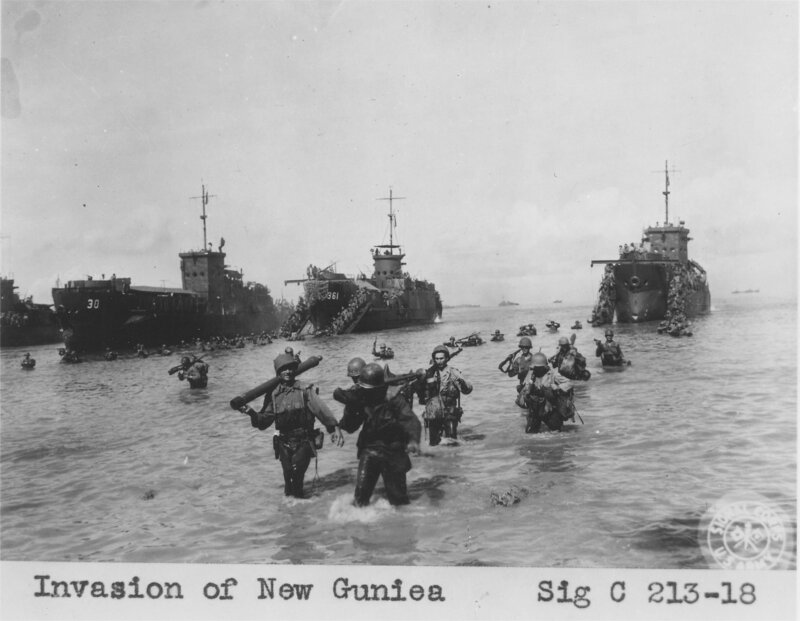 745k USS LCI(L)-30 and USS LCI(L)-361 along with other LCIs putting troops ashore in New Guinea, date and location unknown.